In 1996, the Board of Trustees of the Union Construction Workers' Compensation Program selected Wilson-McShane Corporation to develop and administer their vision for an alternative workers' compensation benefit delivery system. Wilson-McShane hired Kevin Gregerson to create and administer this negotiated workers' compensation program, the only one of its kind in Minnesota. Kevin Gregerson has been the administrator of the Union Construction Workers' Compensation Program since July 1, 1997. Mr. Gregerson also provides consulting services to trade unions and councils, employer associations and workers’ compensation insurers in multiple states to assist in the development of these unique programs. He is a regular speaker at the International Foundation of Employee Benefit Plans; he has spoken at conferences of: IMPACT, NMAPC, TUAC, FMCS, Building and Construction Trade’s Legislative Conference, LIUNA, IUPAT, Finishing Industries, and SMARCA. Prior to his current position, Mr. Gregerson worked for the Minnesota Department of Labor and Industry as a policy analyst, writing the Administrative Regulations pertaining to negotiated workers’ compensation programs. He assisted interested parties in understanding and developing successful programs. Prior to that position, he conducted Administrative Conferences to resolve workers’ compensation claim disputes for five years. While at the Department, Mr. Gregerson also served a four-year term as the Executive Membership Secretary for a 7,000-member public employee union, where he was involved in grievance resolution, contract negotiations and membership services. Elliot Herland is the Dispute Resolution Facilitator for the Union Construction Workers’ Compensation Program. 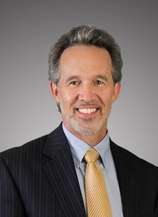 He is responsible for resolving problems that can sometimes develop in a workers’ compensation claim. Without giving legal advice or telling people what to do, he helps people talk about the problem with the goal of resolving the problem quickly and effectively. Before joining the UCWCP, Mr. Herland worked as a mediator for the Minnesota Department of Labor and Industry in the Workers' Compensation Division. For over seven years he conducted mediations and administrative conferences resolving nearly all the disputes that were presented. 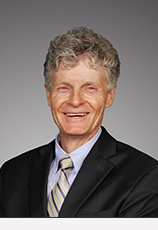 He practiced law in the area of workers’ compensation before joining the Department in 1997, and is a 1984 graduate from William Mitchell College of Law. Sandy Stoddard oversees Member Relations for the Union Construction Workers’ Compensation Program. She is responsible for engaging with employer members, sponsors, trade unions, and health care providers to resolve service concerns and train internal staff. She brings an increased awareness and promotes program participation through discussing the unique services and benefits the program provides. Ms. Stoddard has a wealth of knowledge and experience in workers’ compensation and construction risk management working within the insurance industry for 19 years prior to joining the UCWCP. She has been a strong supporter of the UCWCP since she began her career in workers’ compensation claims. Maryza Merino provides management of the UCWCP support functions that serve the needs of our participants, employer members, and sponsors. She has been involved with all aspects of the program and is vital to the operation of the UCWCP. 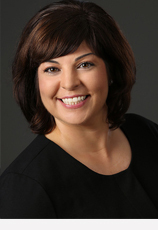 Ms. Merino’s responsibilities include customer support, database management, generating reports for Trustees, union trades, contractors, insurance companies and insurance brokers, program marketing and website updates, audit functions, and payroll verification. Christie Zaspel supports the Alternative Dispute Resolution (ADR) System through assisting the Dispute Facilitator in communications with all parties, scheduling of facilitations, mediations, and arbitrations, and the coordination of DRE Exams and Reviews. Ms. Zaspel also coordinates scheduling of UCWCP training sessions and the preparation of training materials. Please contact Christie Zaspel to obtain additional copies of our program brochure, the "Union Employee's Guide", to be included in our training notifications list, or to update your contact information. 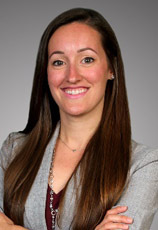 Amy Gascoigne provides customer service to our clients, union leaders and their injured members, construction employer personnel, and insurance company and agency personnel. She is responsible for processing the enrollment of new employers and providing information management and marketing support.